With more than 35 years of experience, Ms. Lehmkuhl is a celebrated nursing professional who most recently served as a medical and disability nurse case manager at Liberty Mutual in Overland Park, KS, from 2006 until her retirement from the industry in 2016. Prior to this appointment, she was the supervisor of clinical services at Mid-America Physicians from 2003 to 2006, a manager of occupational health at the Visiting Nurse Association of Greater Kansas City from 1993 to 2002, an assistant administrator at Hickman Mills Clinic from 1991 to 1992, and a nursing supervisor at Hickman Mills Clinic from 1988 to 1991. Over the years, she has also worked for such corporations as Managed Healthcare Resources, Blue Cross/Blue Shield, and Humana Hospital in several prominent roles. To prepare for her career, Ms. Lehmkuhl pursued a formal education at Johnson County Community College, graduating with an Associate of Arts, with honors, in 1977. She subsequently attended the University of Kansas, earning a Bachelor of Science in Nursing, with highest distinction, in 1979. 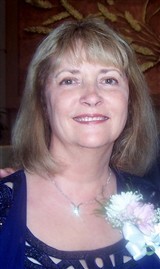 She is a registered nurse in the states of Kansas and Missouri, as well as a certified case manager. In recognition of her exceptional achievements, Ms. Lehmkuhl was deemed an Arthur S. and Leora J. Peck Scholar and an Allstate Foundation Nursing Scholar in 1977. In addition, Liberty Mutual named her the Registered Nurse of the Month in 2013. Notably, she has been highlighted in several editions of Who’s Who in America, Who’s Who in American Nursing, Who’s Who in Medicine and Healthcare, Who’s Who in the Midwest, and Who’s Who of American Women.